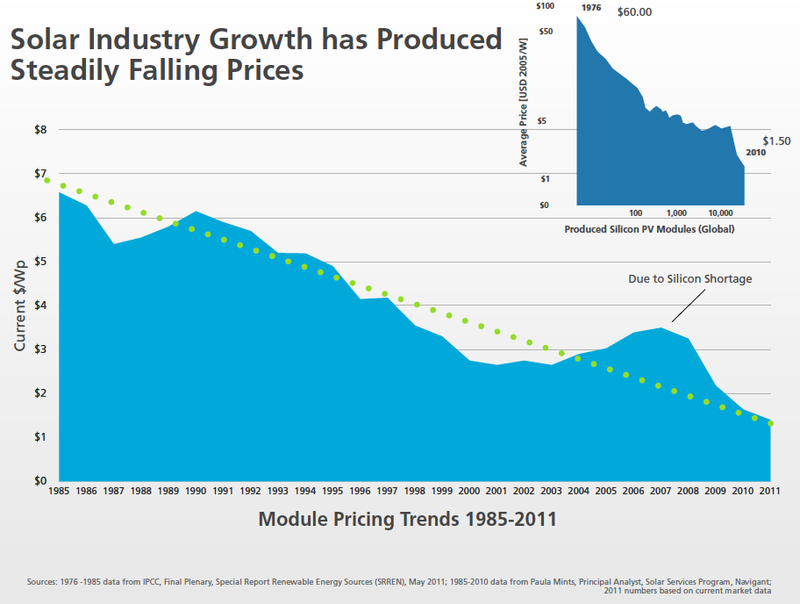 The following charts on solar panel cost trends and solar power growth trends are fun, and good for a share, since many people are completely unaware of these trends. 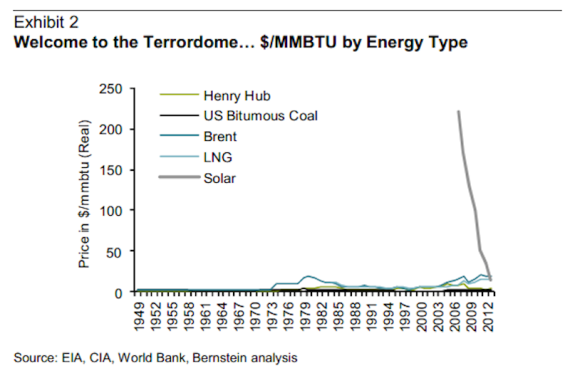 Well, that basically tells you everything you need to know right there — the cost of solar panels in 2013 was about 100 times lower than the cost of solar panels in 1977 (even more than 100 times lower!) — but I promised 10 charts, so let’s dig in even further and throw on some other fun charts and graphs. 6–10. Are you interested in seeing how much solar panels save the average American who goes solar … or the average person in sunny states like California, Florida, New York, Texas, Hawaii, and so on? Below are two infographics on just that. Just note, however, that these averages are based on the cost of solar panels in 2011 (as I think you’ve gathered by now, the cost has dropped considerably since then). 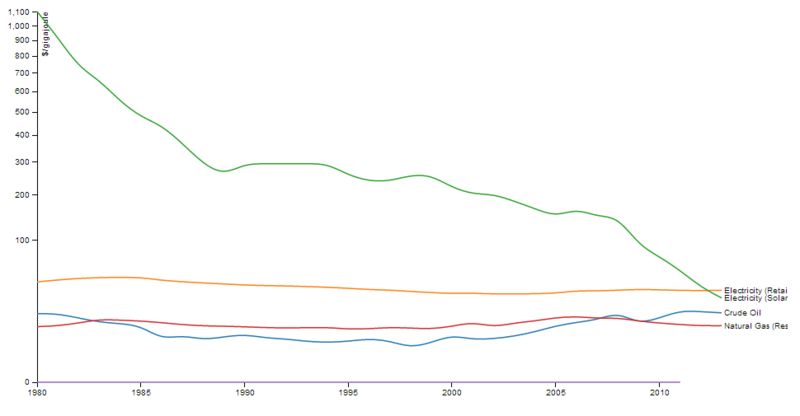 Annual installations, via International Energy Agency. 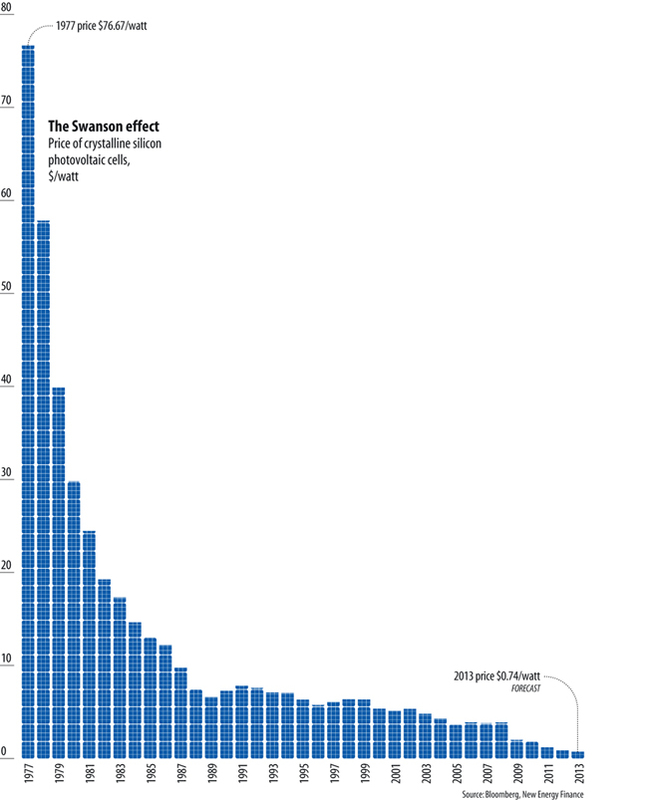 Cumulative solar power capacity, via Charlie Cook. Solar price drop vs global solar power annual installations, via BNEF. 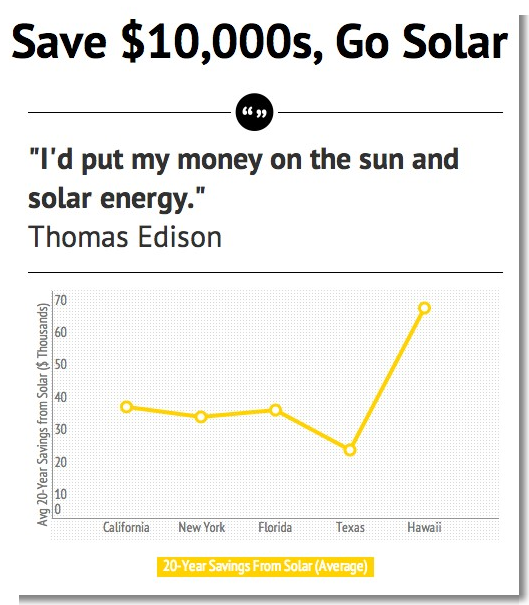 Source: Cost Of Solar. Reproduced with permission (with updates/modifications).